The fire resistance of straw bale walls is superior to that of conventional construction. Learn why that matters and how it’s possible. Avoiding plaster burn marks when building a straw bale house is important and easy if you know what causes them and what to do about them. CASBA is offering a weekend workshop on clay plastering in Vacaville, CA this September. Read on and check out the flier to learn more. 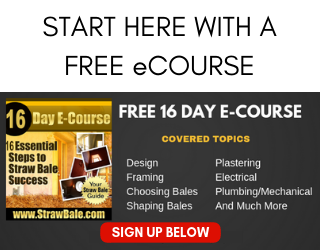 Our Straw Bale Minute video series provides answers to many, if not all, of your straw bale construction questions in short, snippets. We all have a minute to spare to improve our understanding and skills. 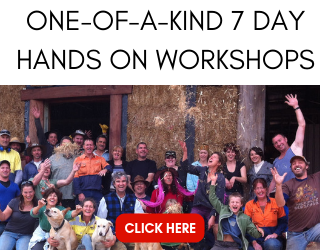 After all, a minute or two a day could improve the quality of your project and save you thousands of dollars (and minutes) on your straw bale build. 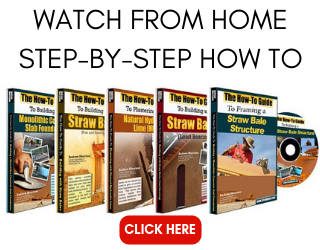 I recently asked my friend Michel Couvreux of TransMineral, USA to write a guest piece about lime and the many confusing aspects of choosing and/or working with the right material for a straw bale house.